There have been recent calls for more evidence regarding effective antenatal and postnatal interventions to address the serious health risks of maternal obesity and associated childhood obesity. The Maternal and Early Years Healthy Weight Service (MAEYS) is an innovative service, delivered by specialist healthy weight advisors, for obese women (BMI ≥30 kg/m2) during pregnancy and up to 2 years after delivery. The service focuses on healthy gestational weight gain, postpartum weight loss and establishing healthy infant feeding and active play. MAEYS was adopted by six local health organizations in the UK as a 1 year pilot program. The aim of the present research was to assess the acceptability of this intervention among MAEYS participants. Semi-structured interviews with 20 women, with data analyzed thematically. High levels of acceptability were reported. The convenience and comfort of home visits, personalized advice on diet and physical activity, supportive approach of the healthy weight advisor and regular weight monitoring were all cited as advantages of the service. Service users suggested that more frequent contact with advisors and practical support such as recipes would improve the service. MAEYS is a novel, community-based intervention delivered in the home which has demonstrated acceptability to its recipients. It therefore shows promise as an early intervention to reduce the risks of maternal obesity and subsequently reduce childhood obesity. 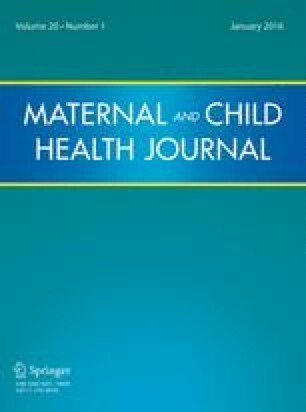 An evaluation of the efficacy of MAEYS in preventing excess gestational weight gain and losing weight postpartum is now needed. This study was funded by NHS West Midlands’ Investing for Health programme. The authors would like to express their thanks to the research team; Kubra Anwar, Carol Bryce, Puja Joshi and Hannah Kendall, who contributed to data collection and analysis. We are also grateful to the local area leads, all the participants, and to Naomi Bartle for helpful comments on an earlier draft of the manuscript. The authors confirm that they have no conflict of interests to declare. National Institute for Health and Care Excellence (2010). NICE public health guidance 27: Dietary interventions and physical activity interventions for weight management before, during and after pregnancy. London: NICE. http://guidance.nice.org.uk/PH27. National Institute for Health and Care Excellence (2011). NICE weight management before, during and after pregnancy (CMG36). London: NICE. https://www.nice.org.uk/guidance/cmg36. Sheikh, A. E., Malik, A. & Gardosi, J. (2010). West midlands perinatal and infant mortality 2008–9. Birmingham: West Midlands Perinatal Institute. http://www.perinatal.nhs.uk/pnm/KHD_2008-9.pdf.